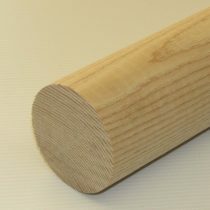 Solid Ash hardwood dowel designed to turn a bat. Bat blanks are #2 grade Ash measuring 2-3/4″ in diameter by 37″ long. Available at our store location and through our TotalWoodStore online.